The following excerpt is from the recently updated and revised book “Your Image Talks” by Gillian Armour, founder of FSI. Purchase link follows. Many people don’t realize the power their appearance has to get them what they want in life (and career). When you know how to work at building your image to your advantage, people will wonder what your secret is. 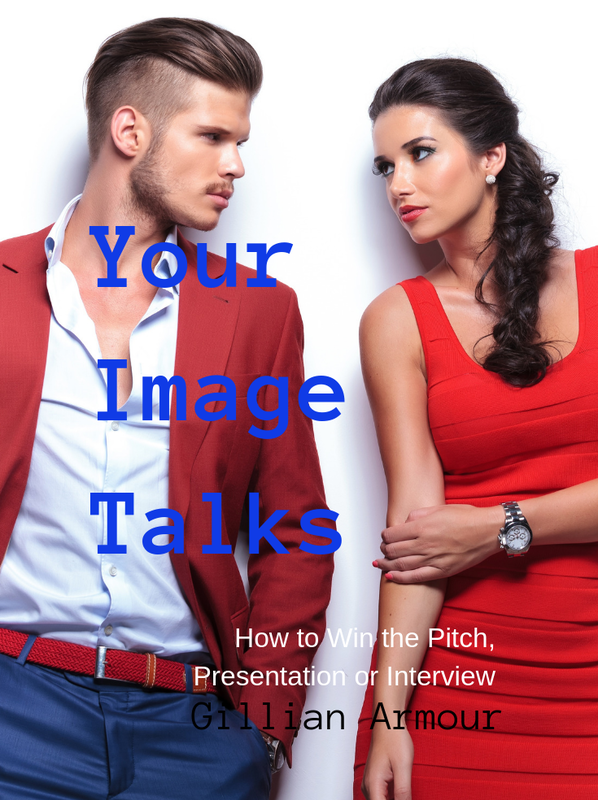 · Learn that your appearance is your personal power tool for success. Ask yourself right now — how am I different and better than my competition? In what ways do I excel, and how do I fall short? Make a list of your attributes and drawbacks, now, before moving on. Done? For most of you your list did not include “I am better looking” or “I dress better.” So, what’s wrong with looking good? Do you feel great when you look good? Do you feel like you could do anything? Do we admire other men and women who look incredible? Of course, we do — there is an entire multi-billion-dollar industry devoted to our need to be admired and liked. We live in competitive times. We all know that it is in those first few seconds of meeting others that opinions are formed. Research shows that looks, social status, education, background, sexuality, financial status, mate potential, and intelligence levels (just to name a few) are all evaluated within the first ten seconds of meeting a person. If you are in sales, you do it even faster. We cannot help it. We are hard wired to be masters of the art of quick judgment. So why wouldn’t you want to step up to the plate and be the best-looking person in the room? This takes the ability to be good at preparation. Most of your success in life depends on how well prepared you are. Is Your Client Base About To Change? 2015 is a key year for the generations in the workplace. It is the year of the “Generational Turnover” or “transition” and the last year in which the Boomer Generation (now aged 51 to 69) will be the largest generation of working age. Boomers are being replaced in the workforce by Gen Y (ages 19 to 35) and Gen X (ages 36 to 50). Baby boomers are now retiring and Gen Y, with a population of 82 million and Gen X (population 49 million) will have the greatest presence in the workforce in the next 24 months. This means that the way people work, shop, live and learn is going to undergo a significant change. How does this impact the Fashion, Style and Image consultant? On several levels – the first of which is that the retiring boomer now needs a whole different wardrobe. Her needs are now shifting from a work wardrobe to a casual, retired lifestyle wardrobe. For the generations moving into positions of power and competition in the workplace the needs will be for a more professional and appropriate wardrobe. Additionally if your niche market has been the boomer generation you are going to have to re-think your niche and begin paying attention to the needs of the 19 to 50 year old's who represent the largest group in the workforce in the next 12 to 24 months. For the next five years the demographic for us to nurture is going to be Gen Y as they become the largest group to mature into 2020. Generation Y age group will be 24 to 40 by then and historically this age group has been the base one for our bread and butter image services. Start thinking now how you can tailor your services to this big (some would say HUGE) market. You have about a year to begin the change in your business model. As independent fashion, image or style consultants, we do quite a bit of networking online either with clients or with other groups (and sometimes even in e-Learning). One of the dangers of working from home is that you can become a bit too casual. Coming to work in your sweatpants every day might seem great, but there are times you will need to ditch that casual look and project a more professional appearance. The video conference is one such time, and new technology makes meeting with clients and viewing projects easier than ever. Software products like GoToMeeting and AdobeConnect allow people to meet in person no matter where they are physically located. That is great news for home based consultants, freeing them from the traditional office and putting them on even footing with their larger competitors. If not handled properly, however, a video conference can be a disaster for someone who works from home. If your office does not project a professional appearance, others on the call may question your commitment to the project, or even your professionalism. Taking the time to clean up your surroundings, and yourself, will go a long way. Cleaning up the background is one of the most important parts of preparing for any video conference. Others on the call will be spending a lot of time looking behind you, and what they see can make a big difference. Tidying up the area behind you is even more important if you do not have a traditional office in your home. If you work out of a bedroom or spare room, you might need to set up some draperies or temporary partitions to make the space look more like an office. 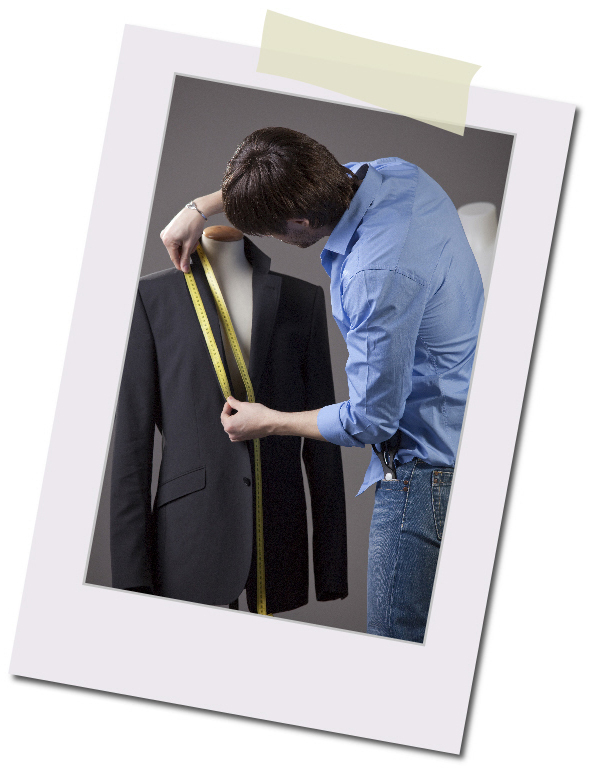 Keep personal items out of sight, since they can detract from the professional appearance you are trying to create. The placement of the camera is an important consideration, since it will affect the camera angle and what others on the video conference see. It is generally best to place your webcam on top of your computer monitor, since that position gives the best field of vision. Take the time to test the view from your webcam and make adjustments if necessary. You want the camera to show you from the waist up for the most professional appearance. Experiment with several different seating positions until you find the one that shows you in the best light. Since you are only visible from the waist up, you might think that the dress blouse and blazer with sweat pants is the perfect outfit, but it is best to dress as you would if you were meeting face to face. Dressing professionally will make you feel better, and that can help you project a stronger and more professional appearance. You should maintain a collection of quality business suits, even if you work at home. You can skip the high heels, but the rest of your outfit should be ready for the office. The video portion of the video conference is important, but the sound is just as critical. Be sure to test the sound of your own setup well in advance of the meeting and upgrade your microphone if necessary. If you do not already have one, a quality headset is a great investment. If you spend a lot of time on the phone, a headset will make those conversations more comfortable and make video conferences more comfortable and effective at the same time. Whether you hold a video conference from your home office once a week or once a year, it is important to prepare for each one as you would a job interview. You want to put your best foot forward and project a professional appearance to your colleagues on the other end of the line. The professional appearance you project will go a long way, and it could even help you grow your business. Here in San Francisco there is a big kerfuffle going on between city workers in the court system and their bosses. These court employees have been asked to step up their appearance, to be more presentable while on their jobs (i.e. : no flip-flops, sweatshirts, tank tops, shorts etc.). Their bosses have invoked a 1996 dress code that has been in place all these years but in recent times has not been enforced. Now it is being enforced and employees are not happy about it. They like their casual ways and wonder why no-one has ever said anything before. Do you think their employer (the people’s court) has a right to ask employees to dress better? He goes on to say: “Looking professional is not “old-fashioned” but instead shows respect for all persons who come before the courts…” and I say – well said! Well here’s the thing - if a company doesn’t have a valid dress code in place they have no recourse to admonish their employees who show up in the über casual styles of today. If, however, an appropriate, modern dress code is in place and reviewed with each new hire and all employees are required to adhere to it, then the workplace image is maintained. Studies have shown that the appearance of employees impacts the bottom line profit margins of companies. Clients like to see respectful attire on the firm’s employees and respond to this respect with positive emotions. We all know that a happy client makes a happy business. As image consultants this is a valuable niche market for us. I have helped firms write appropriate and modern interpretations of dress codes. Some firms ask for dress casual guidelines, others for traditional executive dress standards. If you are consulting to executives, businesses, political entities or government offices then writing dress codes should be in your skill set. Image is everything. Whether we believe it or not, the world directly or indirectly judges a person on three basic things every day. Those three things are their appearance, behavior and communication. Therefore I firmly believe if a person is guided in these three areas of their lives they can become successful. Life can be made simple. Inherently it’s my view, once endeavoring upon a particular path, a person should find out the formula for success, work the formula, and in so doing attain success. Image Consultancy is no different, it’s a formula. It’s the formula that allows a person to enhance their appearance, behavior and communication skills for success. Thus I want to use this vehicle to influence people to attain success. It’s the way I live my life. I do not gamble away the things that can produce me the peace, joy and happiness for which my soul contends, rather I implement it. In today's environment this skill (Image Consultancy) or as I would like to call it, this formula is necessary to guarantee success, as the world is ever changing, global boarders are being lifted and communication is ever more important. There has never in history been such a time like this, when there are so many business meetings, symposium, mergers and international companies originating, and there is no doubt in my mind that the people who will become successful are the people who understand how to communicate themselves to the world. I want to be a part of this interesting move. All I want to do is assist people in becoming successful, in this area of their lives. I also believe that every human being was created with a high sense of purpose. However, too few people attain that level of success, due to life choices, generational circumstances or unplanned events that just happens. These events alters a person's life significantly and can have an impact on how the world views a particular person, or how they themselves view themselves. I want to help to create and recreate who they are, even when life deals them an unfortunate hand. Hence the reason I believe that people simply need to be endowed with the ability to tell their story to the world and I want to be a part of that process. I want to help them communicate who they are truly are. What's their vision of themselves, what's their vision for their life. What do they want the world to know about them. I can only do this as an Image Consultant. People do have great visions of themselves but sometimes may not really know how to achieve their vision, be it through styling or life goals and I want to be the person they come to for advice and inspiration. I want to influence people's life, their sense of personality and style in a positive way. It’s all about people for me. 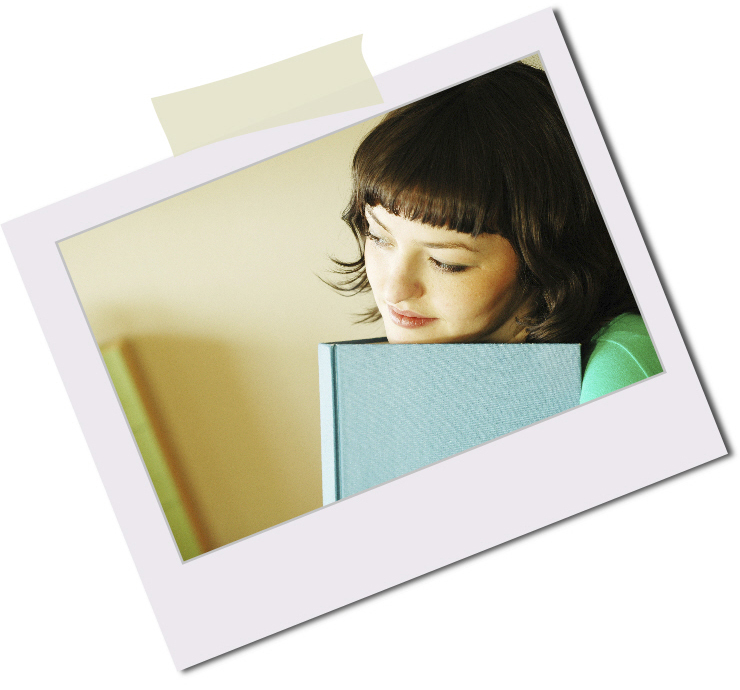 I want to genuinely help people tell their story to the world. Another reason I want to become an Image Consultant is because so many people every day have to communicate themselves to the world and they just do not know how to present themselves nor are they cognizant of how they should behave in a particular settings. It’s not that they are not wonderful people, they just may not know how to, and even for the ones who have the idea, they just may want that extra tip that compliments their sense of self. I want to inspire people to tell their story, their vision of themselves to the world (we all have our own world, which usually is a subset of the greater universe. It’s all about story telling. I want to inspire people to become their best self. Upgrade Your Look in 2014 - You'll Be on Trend! The Economist's year end edition is out and with it the annual business trend report. In the business section you'll find Lucy Kellaway's informative article "After the Famine" in which she addresses some major trends taking shape in the business world. She makes several points that are important for we image consultants to understand and use in our work. Firstly she writes "Women will never have had it so good." She states that "The smart, self assured (but not brash) young females who joined the workforce during the past decade will fit the new corporate mood exactly." She goes on to discuss the trend "they will be promoted, not just out of a craven desire to hit diversity targets, but more as a matter of course." So, how does this trend statement impact our work? We need to target these women who are now moving and rising up the ranks. They will need appearance counsel and advice. The second trend she points to is the impact of employees social media images stating "Companies will start assessing people according to how well they do on social networks" and she elaborates on just what employees will be looking for - "A huge amount of time and emotional energy will be lavished on endless checking to see how you are faring against your rivals." This brings up another important opportunity for us - counseling clients on their head shots AND their visual branding image to help give them a competitive edge. Finally she makes an important point about "two old-fashioned things" [that] will make a comeback in offices. "The first is business clothes. Those who show up to work will be dressed for it." She sites Mark Zuckerberg (Facebook's Founder), (but the quote applies to most of tech-dom) "may cling on to his hoodie in 2014, but most of his employees at Facebook and others who work in Silicon Valley will have tired of coming to work looking as if they've just been doing the gardening." Ms. Kellaway then makes the final statement of her point "Jackets and dresses and proper shoes will be back in." It is relevant that this is being reported as a significant trend because we have been seeing the upgrade in image and appearance percolating on the streets of San Francisco for the past six months. Men, in particular, have been dressing up and taking better care of their grooming issues. Hopefully in 2014 the repulsive 'dress down" trend will begin its decline. No-one looks attractive when they look un-cared for. I work in a visually oriented business that requires me to pass judgment on people’s appearance. People actually pay me to judge how they look. We Image Consultants are probably the only professionals who can get away with critiquing others looks and making money at it (OK, pageant judges come to mind as well); however, the public perception is that we do it in a critical way and I want to dispel that myth. As trained professionals we learn how to be supportive in our critiques. We hold an internal attitude of respect for our clients AND we practice constructive criticism and positive feedback (not the negative “pick-you-apart” that you see on reality shows). The professionals among us practice a sort of therapy. Our clients trust us to help them, they trust our advice; they come to us stuck in issues such as lack of self-esteem, body image challenges, and identity crises. Together we work with them to get them beyond these issues and toward greater esteem, confidence and power. As you know, this negative self-talk fosters and supports many industries. For example, the cosmetic, health, surgery, diet, fashion and beauty companies thrive from women who have brainwashed themselves into thinking they are less than perfect. The truth, that each of us is beautiful, unique and perfect, stays buried as women buy into the messages these industries send our way day in, day out, year in, year out with their advertising and marketing. With this in mind, we help the client throughout the consultation frame her self-image in a positive light and guide her toward self-acceptance. Almost immediately her internal dialog shifts simply to “I love myself.” With our help she starts the process of stopping the negative self-talk. Finally she can see her true self and not one measured by the impossible ideal that marketers have held her to. When a man or a woman can see themselves for who they are, can accept all their perceived flaws as unique qualifiers of individual beauty and attraction, can change their perspective of self to a healthy one, then they can stop spending time, money and energy on the external fixes of surgery, diet fads and trendy fashion to “fix” themselves. Helping each client to recognize that they have a beauty inside waiting to be expressed on the outside is what successful “image” consultants do. We don’t criticize, we don’t judge negatively, and we don’t feed negative self-talk. We help reveal the natural beauty that is already there. By Gillian Armour, Certified Image Professional One of my clients, a very beautiful social creature, sent me a panicky text the other day. “Help!” She texted. “They (un-named entity) are interviewing me and I need a headshot. How do I take a good ‘selfie’?” Now, I have been in this business for a long time and get requests from left field all the time but this was a new one. It got me thinking; I really should have a tutorial about taking the perfect ‘selfie’. And that’s what today’s post is about. We have all seen them, we have all taken one (usually multiple times to get just the right one). However most of us are not professional photographers and therefore our selfies just don’t show us at our best. Selfies are an important part of how we interact online these days. Dating sites, networking sites, professional headshots etc. all require us to put our best face forward. As an image consultant I am always chanting the mantra “your first impression should be the best impression.” Since it is my job to make sure clients look their best, here is my advice and a ten step list for getting the best selfie possible. Note – these instructions are for taking a professional shot (not a ‘goofy, gee-I-love-myself-don’t-I-Iook-hot’ photo! Selfies should not take the place of a really professional headshot but are for the instant, gotta’ have a photo now situation like my clients above. The following tips apply to portraits taken while standing in front of a mirror with a digital camera, or cellphone pointing forward (with an iPhone you can look into the phone and use the built in reverse-lens capability to take the snap. 1) Wear your best colors – if you know them. If you don’t know then choose a universal color that flatters and looks good on camera – coral, aqua, copper. Do your makeup (for guys, get groomed) and adjust your hair to its most flattering. 2) Head shot only – not full body. A selfie is a headshot that shows you at your best. 3) Make eye contact with the center of the camera lens. Smile with your eyes while thinking about something really fabulous (yes, mood does translate through the eyes and to the viewer). Don’t be shy or embarrassed about “modeling” for the camera; just don’t over-do the posing. The personality of a selfie should be fun, natural, authentic and a little quirky or irreverent. Too posy and you risk looking like you took a photo of yourself. 4) Extend your arm out (closer for a close up but not too close) and hold the camera 8 to 12 inches above the top of your head. 5) Lighting – find a natural light, not too bright, not fluorescent, but a natural light and turn your face toward it. 6) While looking in the mirror (or reverse camera angle on iPhones) find your best “side” – your face does have a better side so practice taking a photo with your face angled to the left and then one angled to the right and see which looks better. 7) Now you are ready to find your angles. Drop your shoulders and sit (or stand) up straight. This will make your neck long. While making eye contact with the center of the lens, drop your chin down toward your chest slightly. Hold your shoulders back and look up at the camera extended in front of you. At the same time press your tongue into the top of your mouth (this engages the neck muscles and helps take away any chin action you might have going on). 8) Smile big, or, if you are shy about your smile or want a more conservative shot, keep the smile slight but, either way, THINK HAPPY THOUGHTS and smile through your eyes. And, keep your lips relaxed. Don’t do a pout; you are not posing for a high school year book! 9) Take multiples and then choose the best one. Save it! 10) Most camera phones have edit features and you can also upload to your desktop and edit. This may seem like a lot of work for one great photo but once you do a selfie correctly you will have no problem doing many the right way. Practice these ten steps until you have perfected the art of the selfie! Do not photograph with the sun or light behind you. If you are taking a selfie at night, or in a dark place, turn on your flash. There is always a risk of getting “red eye” when using flash so opt for a natural light selfie when possible. A more complete video tutorial of these instructions is coming soon. Also take a peak at Wikicommons for over 100 examples of good, bad and indifferent selfies.